The Korean peninsula is such a powder keg of political tension that it's easy to forget that it's also a powerhouse of flavor. To serve as guides through the fog of war and into the steam of the kitchen, we enlisted two experts to school us on both Seoul food and Kim Jong cuisine: Holly (South) from Beyond Kimchee and Jae Jung (North), a New Orleans chef who's curated dinners that were actually attended by Kim Jong-un himself! Before you learn more about each country's individual specialties, here's a quick history lesson. Although there's currently little mingling between the North and South, there isn't necessarily a DMZ line drawn between the culinary traditions. 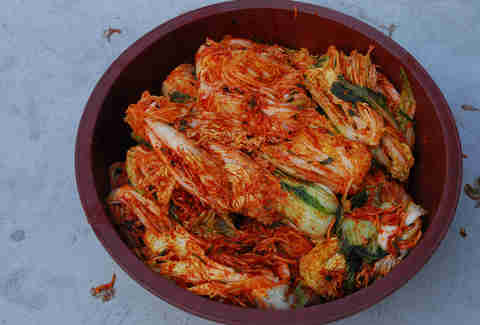 Each culture serves a wide array of small side dishes (banchan), like kimchi and other pickled foods, with meals. 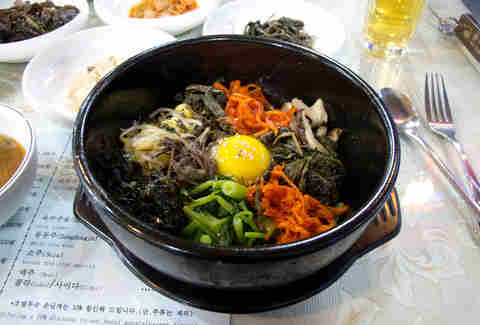 Many dishes that originated in the North became South Korean staples as families migrated South after the war. The differences are largely based on climate and economics: the colder mountainous regions of the North and high levels of poverty lead to blander flavors and a focus on sustenance over style, while the warmer South lends itself to spicier fare and a grander eating culture rooted in royal court cuisine. What's the deal: "Cabbage is the most common ingredient in kimchi, but there are over 200 different types. You'll find different varieties of cabbages and radishes, cucumber, green onion, eggplant, and bean sprouts. Kimchi's popularity is growing due to its health benefits, as it contains probiotics (healthy bacteria), and it helps strengthen your immune system." What's the deal: "This is Korea's most popular comfort stew. 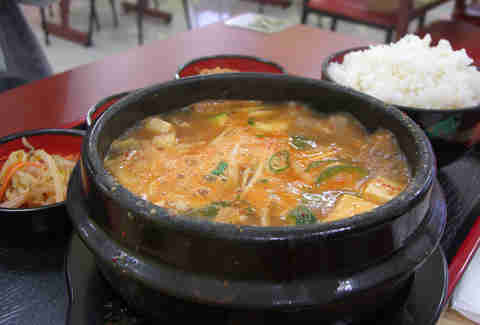 It's a quick stew made with fermented soybean paste, various vegetables, and tofu. It uses anchovy stock as a base, but other types of seafood or beef are also used." 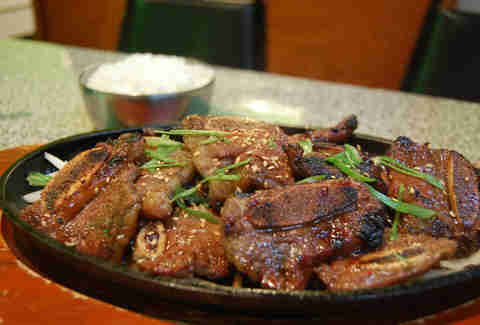 What's the deal: "Marinated beef ribs, pork ribs, or chicken is grilled on an open fire or griddle over your table. Beef and pork is marinated with soy sauce, and the chicken is prepared with chili paste that can be quite hot." 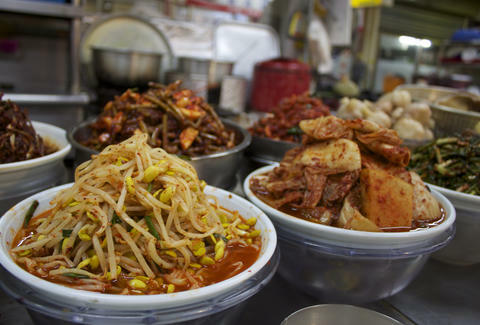 What's the deal: "This is one of the most popular Korean foods. Rice is topped with a variety of vegetables (and sometimes beef), and comes with a fried egg on top. It's mixed with chili paste sauce and tossed together to season everything in the bowl." What's the deal: "Sweet potato noodles called 'dangmyeon' are mixed with spinach, carrot, onion, mushroom, and beef (though this ingredient is often skipped). Each ingredient is seasoned separately to hold its flavor, and is mixed later on with the noodles, which creates a colorful dish. One of the most popular dishes for a feast or at parties." 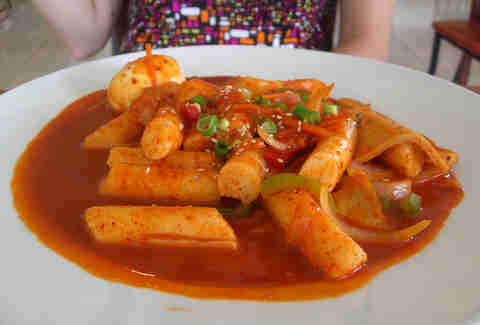 What's the deal: "Tteokbokki is more of a street snack food. 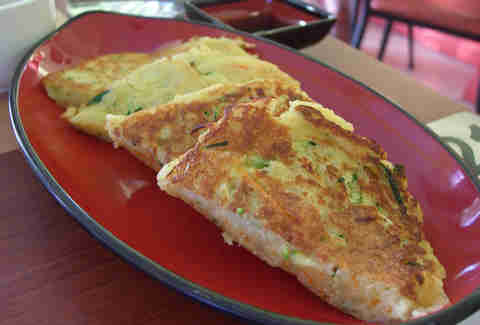 Everyone in Korea (including myself) enjoys it, but I am not sure if I can call it an important food of Korea. It is totally personal preference." 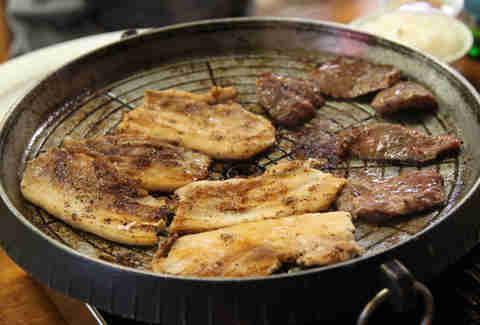 What's the deal: "Samgyupsal is a very common food, and an important staple of the Korean diet. 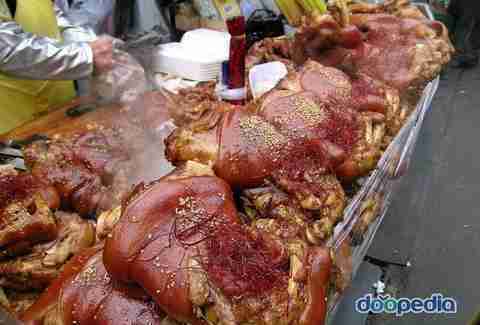 It is a rather cheap cut of pork, so the majority of Korean people consume it quite often." What's the deal: "This is the most popular North Korean dish. Pyongyang, the capital, is famous for this. 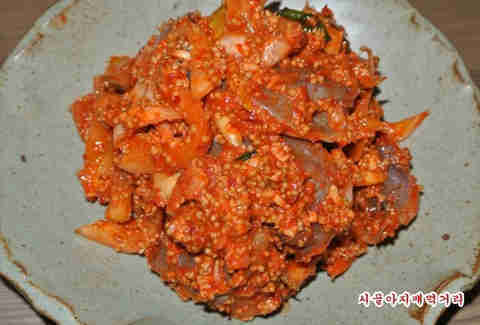 It can be served with chilled meat broth instead of spicy sauce. After the Korean war, many North Koreans moved to the south and opened many naengmyun restaurants. 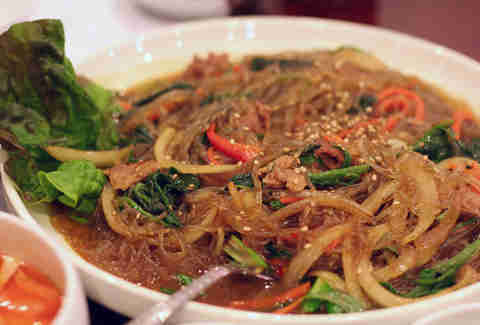 In South Korea, they often eat these noodles at the end of a BBQ meal." What's the deal: "After the war, they struggled to find food, and this became a special dish served to pregnant ladies that was initially inspired by Germany's eisbein (pickled ham) and schweinshaxe (roasted ham hock)." What's the deal: "One of the representative North Korean dishes. It has been loved since the 1600s. They'll typically make at least 100 flounders at once and share it with their siblings, friends and neighbors." What's the deal: "Very regional. There's usually a wide variety of dumplings. Major cities have their own style. 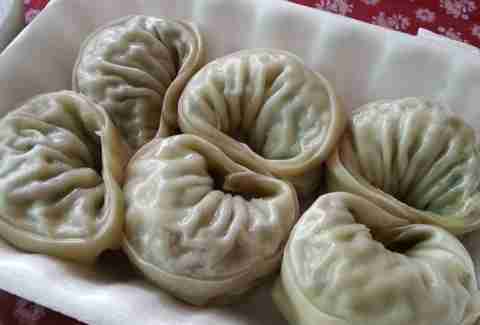 Pyongyang is famous for Wang Mandu, which means big dumplings stuffed with lots of meat. In Gaeseong, they stuff dumplings with pheasant and shape them into a square." What's the deal: "This originated from Pyongan Province. Nicely paired with rice wine, it's a traditional holiday food, but has recently become a very popular South Korean street food."